Angels Cup App. finding about coffee just got a lot easier. 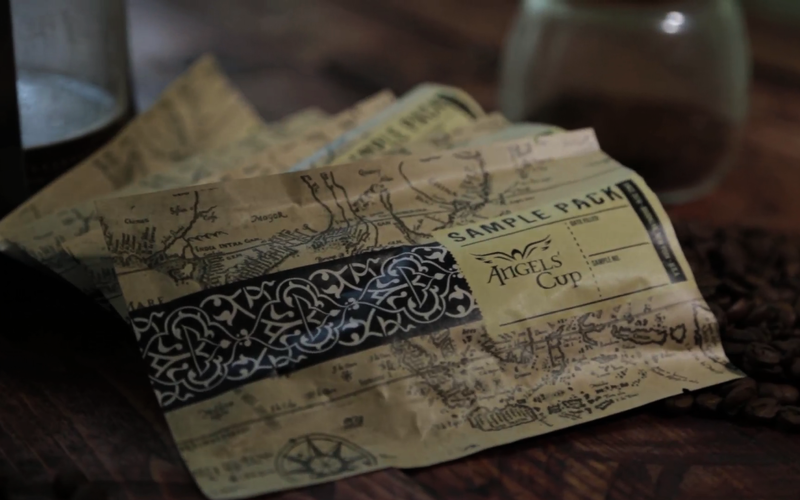 Angels Cup App is a new app that has potential to change your world as a coffee drinker. Jeffery Borack who loves coffee has made sampling coffee easier by making this app and rating it is far easier than anything out there has right now. There are four main features to the Angels Cup app. First, you put the name of the coffee you are tasting then select beginners or advanced tasting, there is the roasting scale that you slide along until the color on your smart phone matches the color of the coffee beans you are holding. That will give you the roast profile from light to dark roast, it includes all the terms that are being used in the coffee world, like half city, city+, Vienna roast, or nearly Black roast you will quickly get the picture once you are using it. Next, there is the taste sphere where you rate aftertaste, complexity, body, bitterness and sweetness. You simply place your finger on the circles surrounding the center point, the outer circle means it is more dominate than the other attributes. Next, is the aroma wheel where you smell the coffee and pick the aroma you smell, you have three or more aromas to pick and you can also add your own personal aroma that you pick out, then last but least is your enjoyment scale from okay to superb. Make some notes on the coffee the coffee that you had and it will be share to all the subscribers on facebook, twitter and google+. What I like about this app there is no right or wrong answers merely just your opinion. Your answers are compared to a coffee roaster who roasted the coffee you are sampling and you get to see where your taster profile notes lies, it is truly a fun and educational way to learn and expand your coffee horizons with this app. I have been working with it here at my office using it to make notes on all the coffee that I sample and it has reduced my work time in half, the sliding roast scale is my favorite and the taste sphere equally as well. The aroma wheel took a few tries to get the hang of it but I made it work after a few easy tries and it comes in handy. The enjoyment scale is fun and it helps put your tasting in perspective. Then you have the side-by-side notes of your sampling and that of the roaster.